LOS BAÑOS, Philippines – Their Majesties Emperor Akihito and Empress Michiko received an overview of the International Rice Research Institute (IRRI) and the institute’s vibrant partnership with Japan during a short visit to the IRRI headquarters on Friday afternoon (29 January). IRRI Director General Matthew Morell presented the institute's goals, financial supporters, and some prominent Japanese scientists who have been associated with the institute. Emperor Akihito and Empress Michiko were briefed by V. Bruce J. Tolentino, deputy director general for communication and partnerships, on some of the improved rice varieties developed at IRRI. "Their Majesties expressed special interest in IRRI's work on climate-ready rice, particularly submergence-tolerant rice," Tolentino reported. "They also seemed pleased about the long-term relationship IRRI has had with the Japan International Research Center for Agricultural Sciences (JIRCAS), and that the institute has always had a Japanese national on its board of trustees since its founding in 1960." JIRCAS has through the years sent several Japanese scientists to work on collaborative projects at IRRI, under a special contribution from the Japanese government. 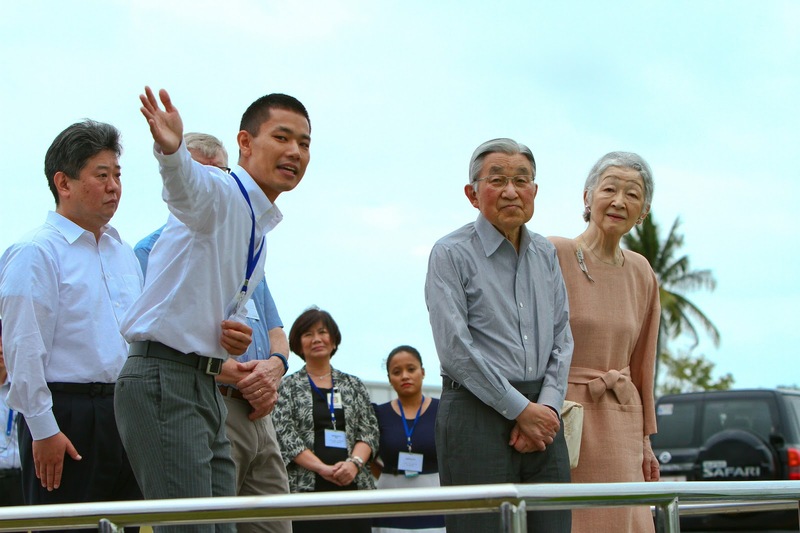 Japanese scientists on the IRRI staff interacted with the Imperial Couple. The Japanese Imperial Couple at IRRI. Keiichi Hayashi showcased Japan’s contributions to IRRI over the past decades. “They were curious about various stresses being caused by climate change that affect rice,” Hayashi said. The Imperial Couple visited the Long-term Continuous Cropping Experiment (LTCCE) where Yoichiro Kato explained the importance of the world's longest-running rice research project. 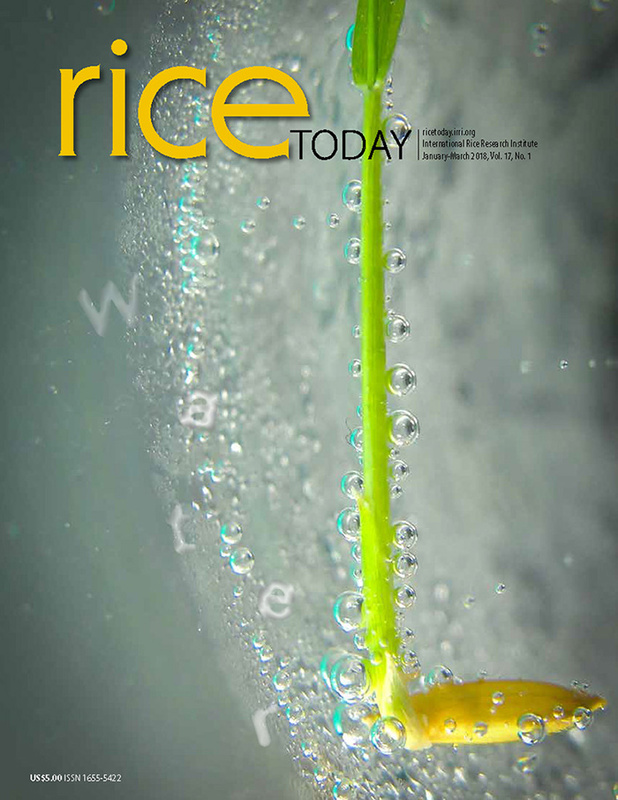 “They were quite surprised that we have been planting rice at the LTCCE three times a year,” Kato said. “In Japan, farmers usually plant only one crop a year. They were very interested in the different effects of fertilizer and pests on rice plants. Her Majesty was particularly keen on salt-tolerant rice." Rice played a significant role in the creation of Japan. According to Japanese mythology, Amaterasu, a major deity of the Shinto religion and the Sun Goddess and the universe gifted one of her descendants with rice. That descendant was Jinmu, the legendary first emperor of Japan. Emperor Jinmu was tasked with turning Japan into a land of rice. Japan’s creation myths were about “the transformation of a wilderness into a land of abundant rice at the command of the Sun Goddess, whose descendants, the emperors, rule the country by officiating at rice rituals,” said Emiko Ohnuki-Tierney, a Japanese anthropologist and authority on its rice. Japan’s emperors became priest-kings whose functions revolved around the rice crop. As Jinmu's 125th direct heir, Emperor Akihito is currently Japan's rice-farmer-in-chief, according to Ohnuki-Tierney. Emperor Akihito has maintained his ties to rice. Every year, he plants and harvests rice at the paddy on the Imperial Palace grounds, a tradition started by his late father, Emperor Showa, in 1927. The Japan-IRRI partnership dates back to 1960 when IRRI was established. Since then, Japan has provided leadership to IRRI with a representative on the IRRI board of trustees. The government of Japan has been one of IRRI’s most generous financial supporters, having given a total of more than USD 211 million since 1971.